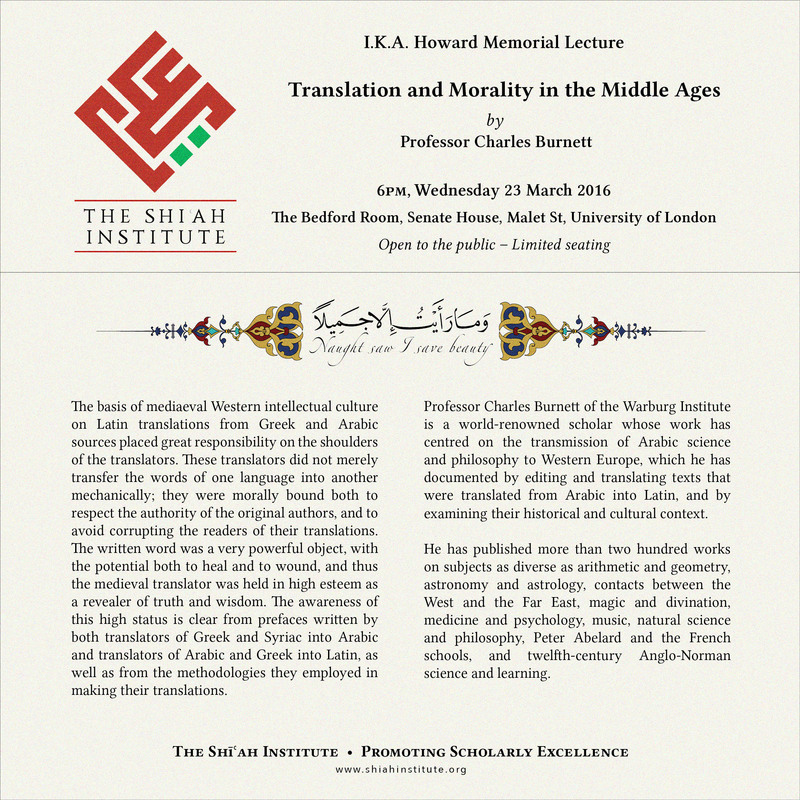 On the 23rd March 2016 at Senate House, London, The Shīʿah Institute hosted the first I.K.A Howard Memorial Lecture, with a talk from Professor Charles Burnett (of the Warburg Institute) on ‘Translation and Morality in the Middle Ages’. At the event, Professor Burnett spoke on the history of translation in the mediaeval world and the various methodologies deployed by translators working with Arabic, Greek, and Latin in this era. Professor Burnett is a renowned scholarly authority on the transmission of Arabic science and philosophy to Western Europe, and has published over two hundred works on subjects ranging from astronomy and astrology to medicine and psychology. This lecture was held as a tribute to the memory of the late I.K.A. Howard, the distinguished scholar of Shīʿah Islam and esteemed translator of many early Shīʿah texts, who taught for many years at the University of Edinburgh. Professor Burnett’s talk was preceded by an introduction from The Dean of the Shīʿah Institute, Sayyid Amjad H. Shah Naqavi. The Shīʿah Institute would like to thank all our guests for their attendance and Professor Charles Burnett for his lecture. This three day international symposium convened by the Shīʿah Institute will address one of the perennial issues in the Shīʿah tradition, namely the martyrdom of Imām Ḥusayn and his companions at Karbala in 680 AD, and explore across disciplinary boundaries how this cataclysmic event in Islamic history has been figured in discourse and ritual, and subsequently mourned and commemorated for over 1300 years. Its commemoration has been interpreted and performed in a plethora of diverse and distinct ways in manifold times and places, from Iraq, Iran, and the Levant, to Central and South Asia and the Arabian Peninsula, and far beyond. 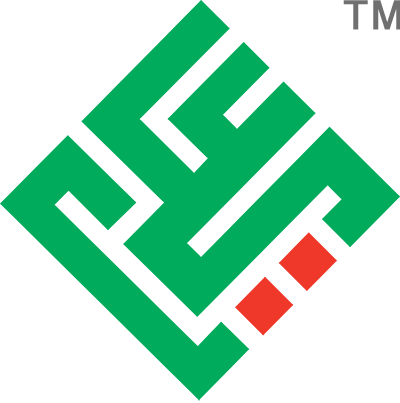 While countless scholars have sought to explain Karbala’s cosmic significance and the religious obligation to commemorate ʿĀshūrāh, as well as pilgrimage to the third Imām’s shrine, a great many cultures have assimilated and incorporated this sacred event into their own living traditions and identities in creative and unexpected ways. The Shīʿah Institute’s Annual Symposium will strive to capture the profound and variegated nature of this rich and plurivocal heritage. This symposium endeavours to examine the discourses and ritual practice relevant to Imām Ḥusayn’s martyrdom, its commemoration and remembrance in the areas of classical, medieval, and modern theology and eschatology; comparative religion; ‘popular’ versus ‘high’ religion; historiography; devotional and hagiographical literature (dirge, epic, poetry, elegy) and its vernacularisation; theatrical depictions and performance of the scenes of Karbala in Iran and Iraq and replicas of the shrines in South Asia (taʿziyah); ritual practice and sartorial traditions; pilgrimage (ziyārah) and issues of divine intercession; architecture, and sacred space (shrines, takiyyah, ḥusayniyyah); gender and gendering imagery and practices; murals; painting; film; and questions of material culture more broadly. In this way the Shīʿah Institute aims to convene a symposium that is comprehensive in scope and multi-disciplinary in approach in furtherance of the academic study of Shīʿah Islam. 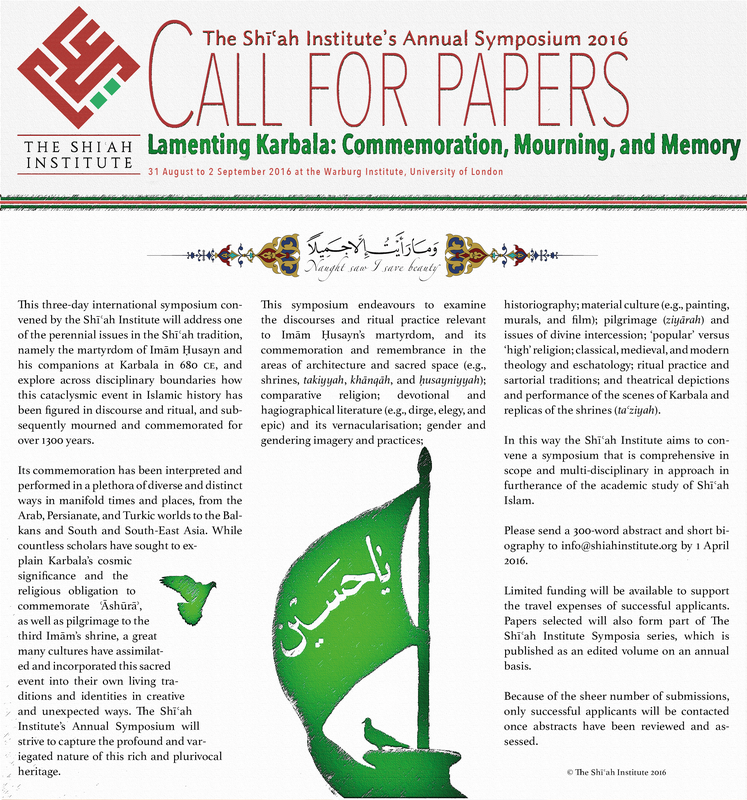 Please send a 300 word abstract and short biography to info@shiahinstitute.org by 1 April 2016. Limited funding will be available to support the travel expenses of successful applicants. Papers selected will also form part of the Shīʿah Institute’s symposia series, which is published as an edited volume on an annual basis. Because of the sheer number of submissions, only successful applicants will be contacted once abstracts have been reviewed and assessed.